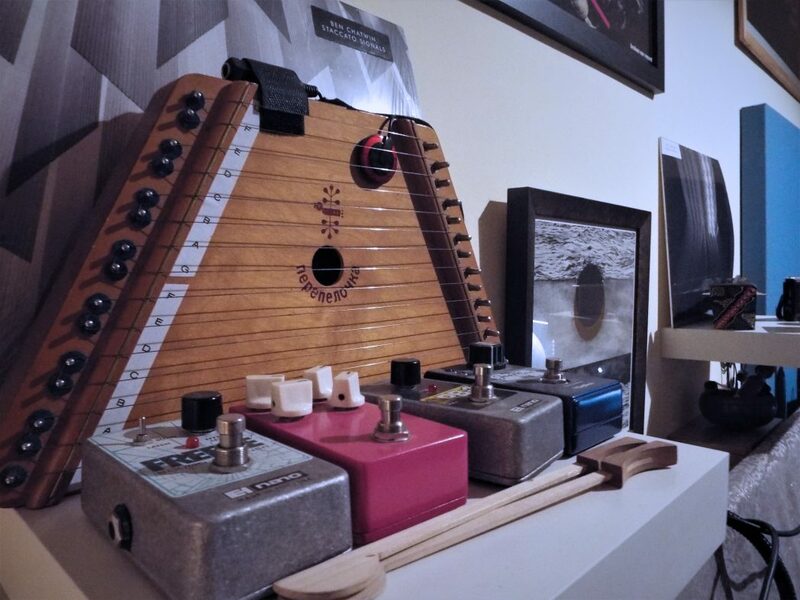 I picked up the guitar when I was a teenager – I had lessons for about 6 months and then decided to teach myself and just started making music. Learning the instrument to a technically proficient level never really interested me; once I knew a few chords, putting them together in my own sequences was far more rewarding. My first guitar was a Mexican made Fender Telecaster that I swapped a couple of years later for a Fender Toronado – still my main guitar today. In my late teens I got my own PC and some music software – realising I could record and arrange my own compositions was an exciting revelation. That was the start of both composing and developing a home studio. I’m not sure I’d ever call my studio space ‘final’ as its constantly changing and evolving depending on my interests and working methods. It started in a corner of my bedroom and I worked like that for many years until my partner thankfully agreed that my own studio room in the house might be useful. Generally, with each house move my studio room also gets re-planned and designed for the new space. 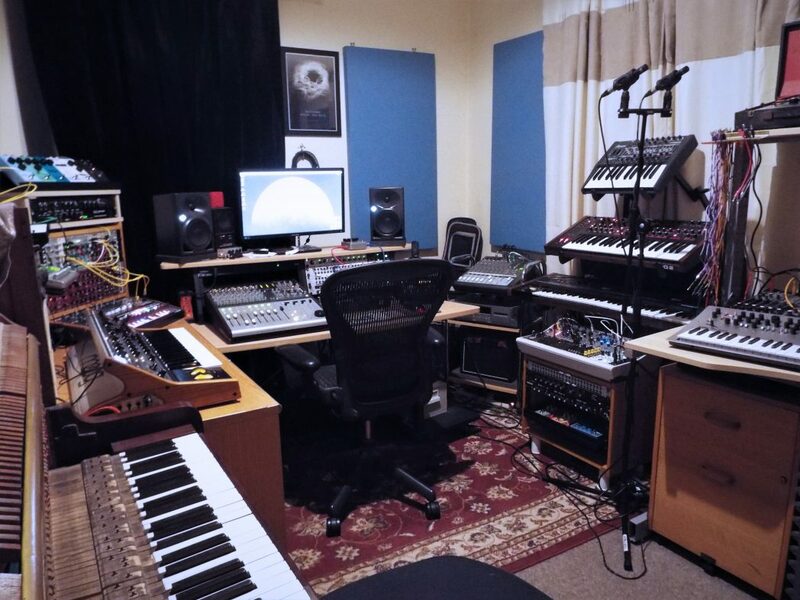 I’ve been in this current space (The Vennel) for 6 years now and its been by far my most productive studio. 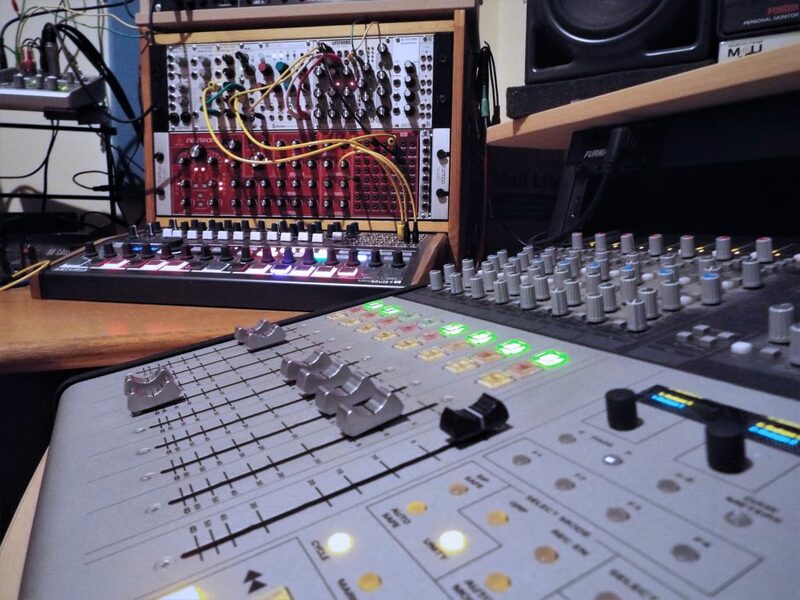 These days I’ve swapped the guitar for electronic instruments, particularly synths. 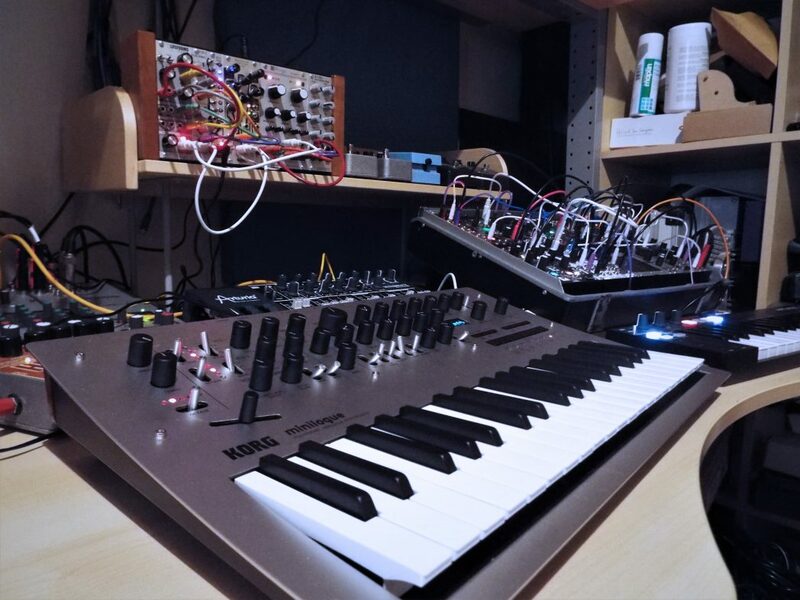 Over the past couple of years, I have gone down the modular synth route – which has been an inspiring and very productive road to take. I really enjoy building my own systems but this process has made me realise that I prefer using small, contained instruments. It has also given me a greater appreciation of my other synths as I better understand how and why they were put together. 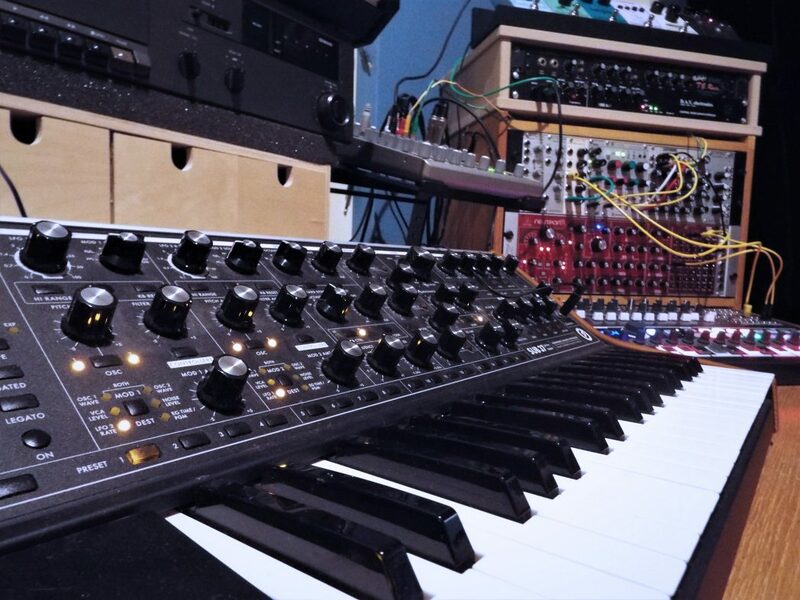 Probably my most used synth during this period has been my Moog Sub 37 – which is both immediate and fun to play yet also deep and sonically rich. Its a beautiful instrument which always seems to sound good with the minimum of effort. I use Cubase for recording and arranging in my home studio and Ableton Live when I’m performing live. Cubase was the very first DAW I ever used and although I’ve used and learned a few others over the years, I feel most comfortable and work most quickly with Cubase. It’s generally something that I never actually think about when I’m using – so it works well for me. I find the ‘which DAW is the best’ debate kind of ridiculous as they all do pretty much the same thing and I’d be happy to record to a 4-track cassette recorder if that was all that was available to me. I guess I much prefer working with instruments and hardware than computers. I’d love to invest a bit more in hardware compressors and eq’s but I think if money were no object I’d go for a sound maker like the polyphonic Yamaha CS80 synth – rarity and price make that pretty unlikely so perhaps a tad more realistic would be a Buchla Music Easel, which looks like a lovely complete instrument that I think I would enjoy playing. I’m very interested in using electronic instruments to try and convey something human. 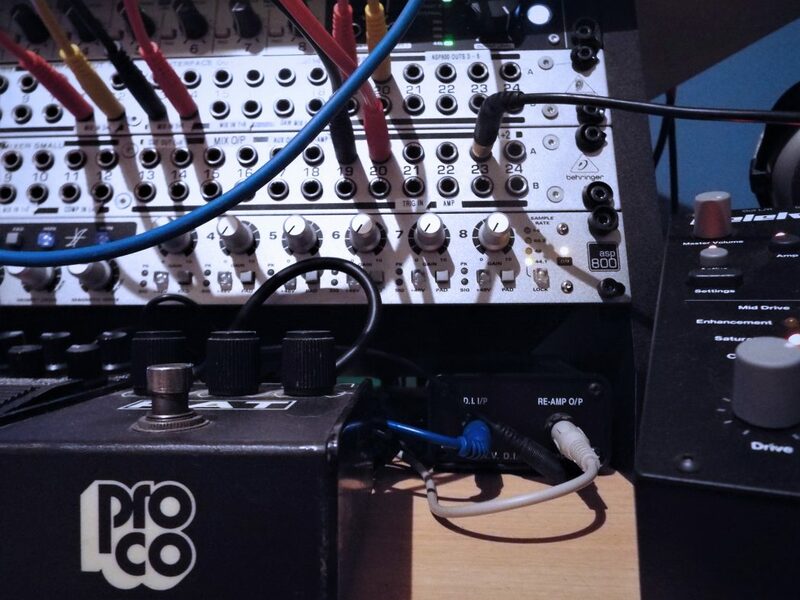 I have a preference for analog synths with no presets or memory, where I have to be lead by my ears and record what I’m doing as I go along – as it’s not always easy to find the same sounds again. 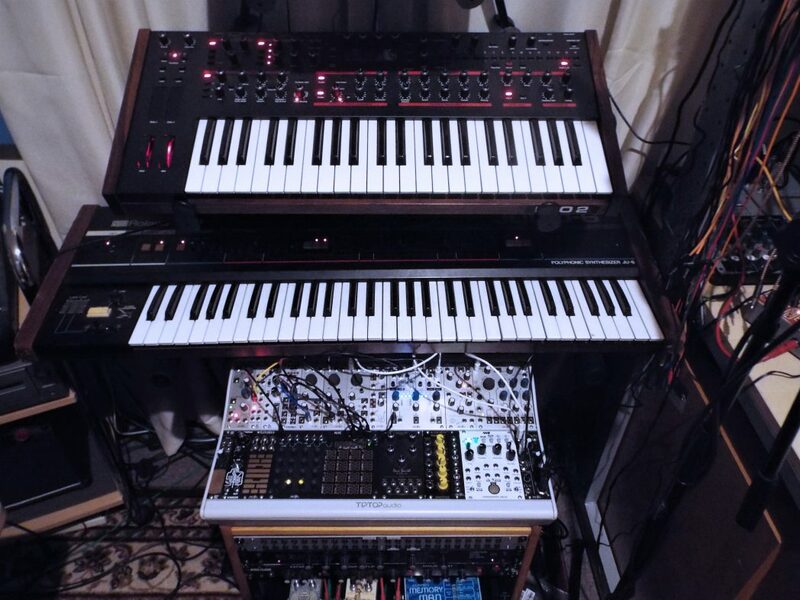 Similarly, I’ll run synths through large fx chains, out through amps or through tape machines. Anything that will add a bit of grit or life to the sounds. For me, it just reflects life – noise, hiss, warble etc… a fuzziness that surrounds everything. I became really interested in ways of processing acoustic instruments – particularly the recordings I made of the string quartet for Staccato Signals. I started sending out those recordings into my modular synth where I could sample them and really mess with time and space. Slowing down the recordings, chopping bits up, looping them etc., to create completely new pieces. Drone Signals came about this way and it was one of the most pleasurable albums I’ve ever made. I like how the outcome is somehow not quite acoustic nor completely electronic – it exists in this weird space between the two, like if machines were trying to play real instruments. I recently started performing with a string quartet which logistically is quite challenging. A laptop, running Ableton, acts as a master clock for both my electronics and the string players. I’m sending out MIDI parts to my modular which is built around a Make Noise synth voice and plenty of sound sculpting: filters, reverbs, delays, distortion etc… I’m also using what has become one of my most used instruments – the Dave Smith Pro 2, which is an absolute pleasure to perform with due to the expressive performance elements of the synth. Definitely, the two windows that allow me to see the seasons pass and the environment change. The studio before this one had no windows and I felt like I was going mad working there every day. When we moved out here I had a choice of rooms but the 2 windows swung it for me. I find it an inspiring place to work and I enjoy feeling connected to the environment. In terms of improving the space, I’m sure there are things I can improve with the ergonomics – I find I’m constantly trying to avoid accumulating too much gear and also clutter. 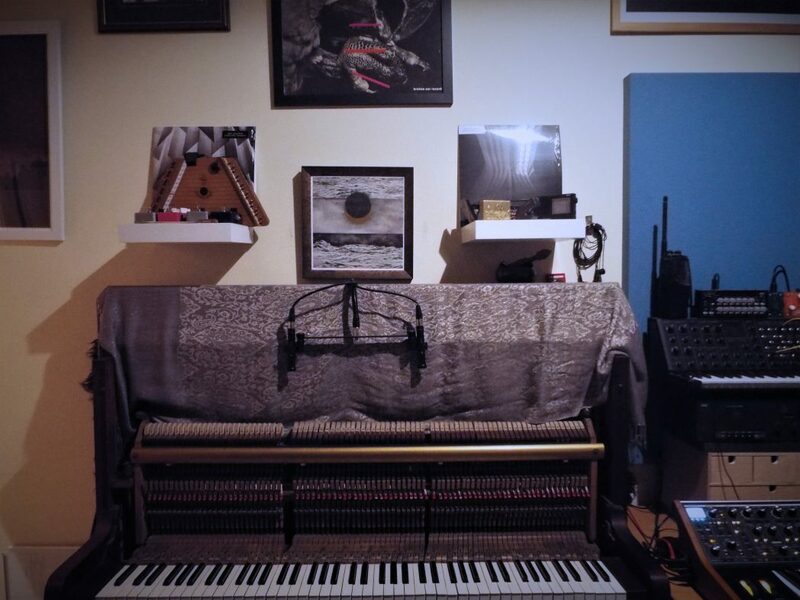 It’s hard to be too specific as the process changes for each track – generally, I come up with some sort of idea perhaps at the piano – a few chords or a melody. Once I feel like its something I can explore and develop I’ll record the part(s) into the computer. The next step would be a day or two of improvising around this basic idea. Usually, I’ll just see where it takes me – not judging what I do, just throwing idea after idea at it. I try to let some time pass before I start sifting through what I’ve recorded before looking to see what good ideas are there. Then slowly I start shaping it into something that will become a finished track – usually over months. I don’t rush my own music – I like to let things grow in an organic way. I also compose music for a variety of media which generally happens over much shorter time frames so I have to condense this process into something that can work over a few days to meet deadlines. 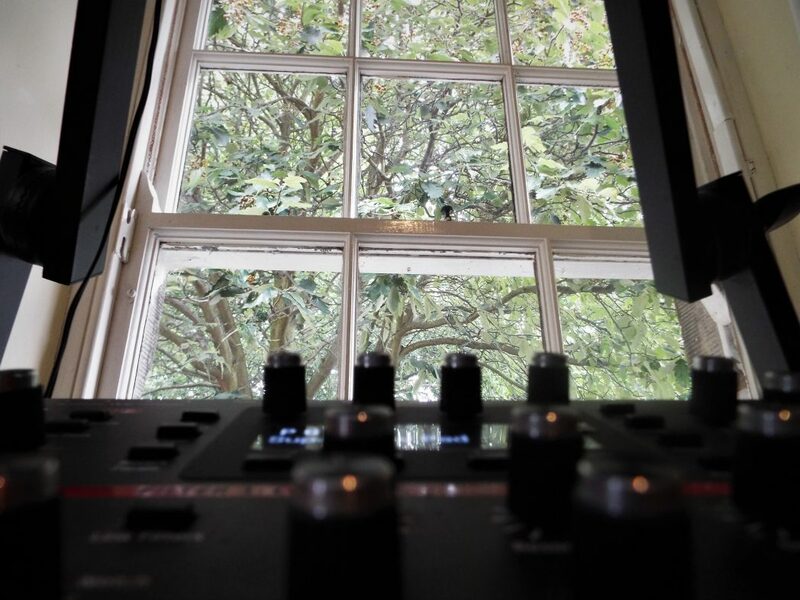 At the final stages of the process, I occasionally audition my piece on different systems – just to see how my mix is standing up outside the studio – usually on everyday devices – an MP3 player, a laptop, etc. But generally, I trust my monitors and know them well enough now to deliver a decent mix with them. Once it’s gone for mastering I rarely listen to it ever again. I move on to the next project. Yeah definitely, I’ve come to view it as a necessary part of the creative process and I think its ultimately valuable time – watching YouTube videos or messing about with equipment all helps to be better prepared when the creativity is flowing. Walking in nature, watching films, spending time with my friends and family. A broad question that is difficult to provide any sort of succinct response to – it’s a topic that could be debated in length. There are pros and cons to the current state of music. The abundance of cheap, high-quality music software and hardware allows for anyone with an interest to become a ‘composer’. The result is a huge number of albums being released every week. Whether there are more high-quality albums now, than say 15-20 years ago, is hard to say but I suspect that there are; finding these have become the problem though. I think, as a result, we rely more than ever on music sites and blogs who are passionate about listening to as much music as they can and reporting on the cream of the crop. I think its a shame that the industry in general and the biggest sites tend to focus only on what is being plugged to them by the PR people or what is going to generate the most clicks. I think its harder now to cut through the noise and find an audience/get press compared to 10 years ago when I started releasing music.